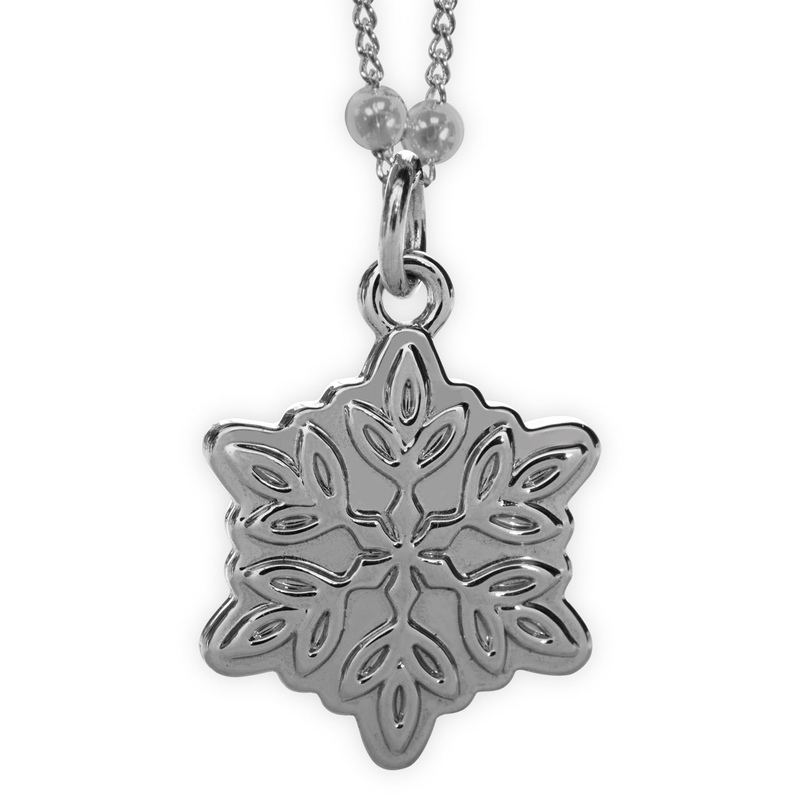 This elegant pendant set makes a lovely gift for the unique, magical person in your life. 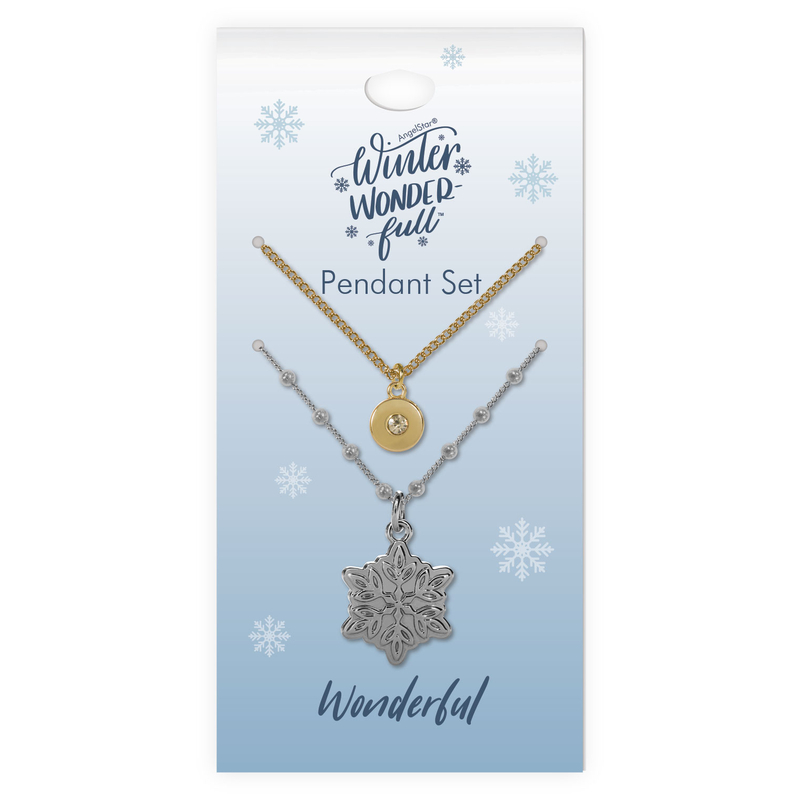 This set includes two pendants, a beautifully detailed snowflake (measuring 3/4" high) in highly polished silver on a decorative chain and a gold charm (measuring 1/2" high) featuring a glittering rhinestone on the front and the engraved work "Wonderful" on the back. 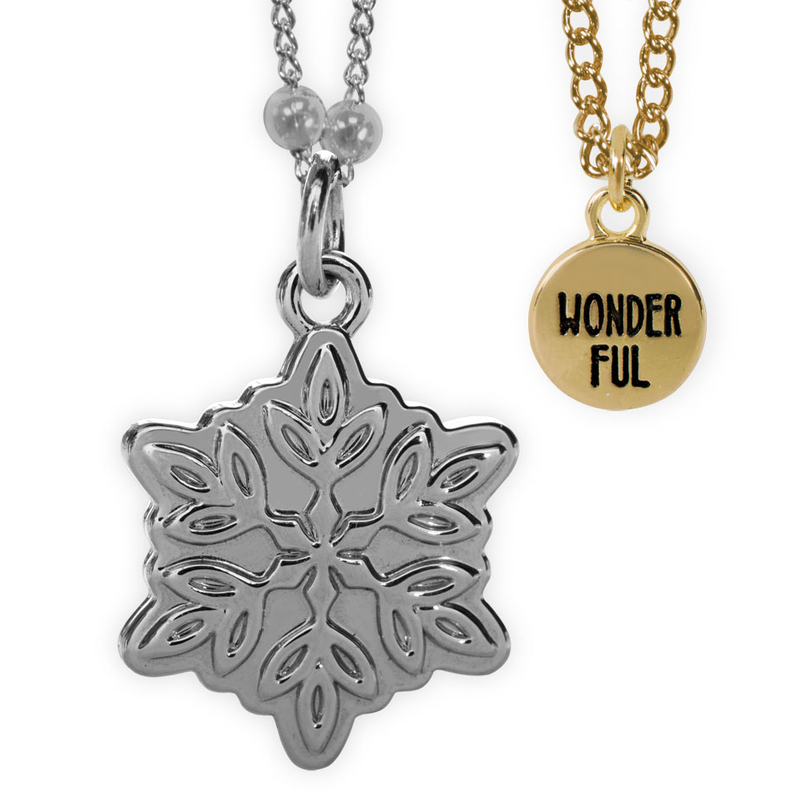 Wear these pendants separately or together for a dynamic look. Each pendant is on an 18" chain with a 2" extender, so they can be adjusted to fit. Pendants are 1/4" and 3/4" tall, on an 18" chain with a 2" extender.